Highly publicized legal cases, such as those involving libel verdicts, obscenity prosecutions, the First Amendment, and other areas of media law have focused attention on only one part of the media's impact on law. 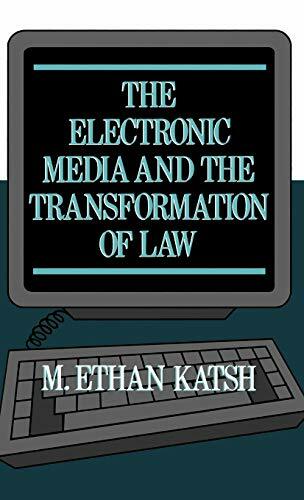 This study, the first to explore the broad influence of computers and television on the future of the legal process, explains the critical role of information and argues that the influence of the new modes of communication can be seen in changes occurring in many areas of the law. These areas include the goals and purposes of law, the doctrines and rules of law, the processes law uses to settle disputes and shape behavior, the legal profession, and the values and concepts that underlie our system of law. M. Ethan Katsh is at University of Massachusetts, Amherst.